Yesterday(December 14th) Beyonce brought her style to instagram once again showing off a cool, edgy look for her #Beyhive. She posed for the gram rocking distressed, drop waist jeans with a GUCCI FALL 2017 blue & yellow embroidered place over-sized shirt with a black logo strap tank top underneath. She also wore Gucci ivory cream floral studded boots which I love. Dark round sunglasses, gold jewelry and a curly half-up half-down hairstyle finished up her look. 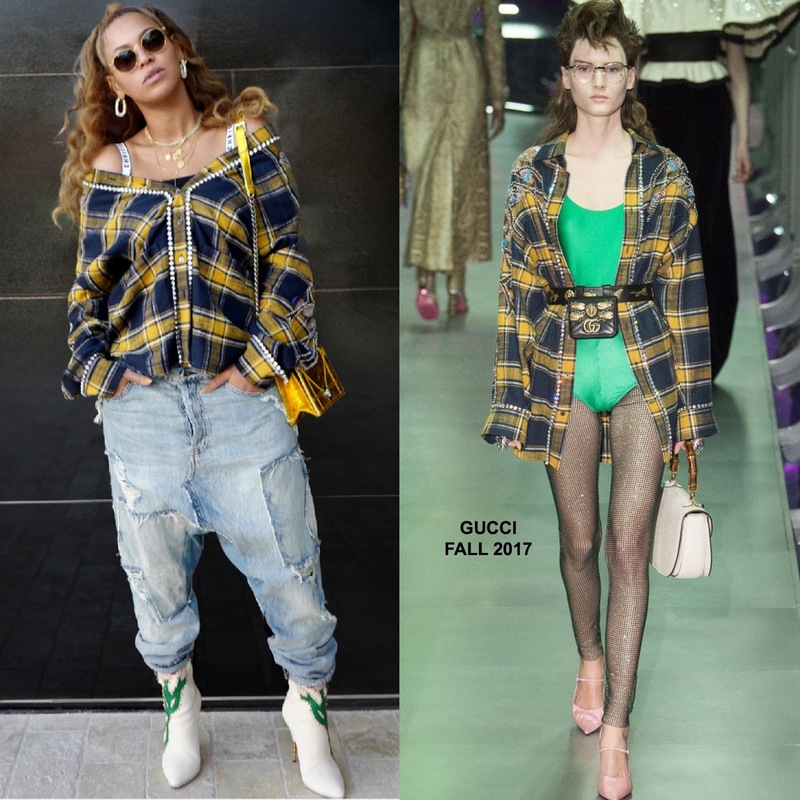 Are you feeling Bey's instagram style? 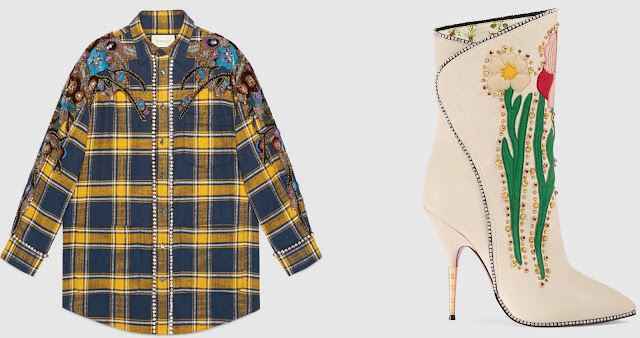 You can get Bey's Gucci shirt via the brand's website HERE & at NEIMAN MARCUS and her boots at via the brand's website HERE and at FARFETCH & BROWNS FASHION.